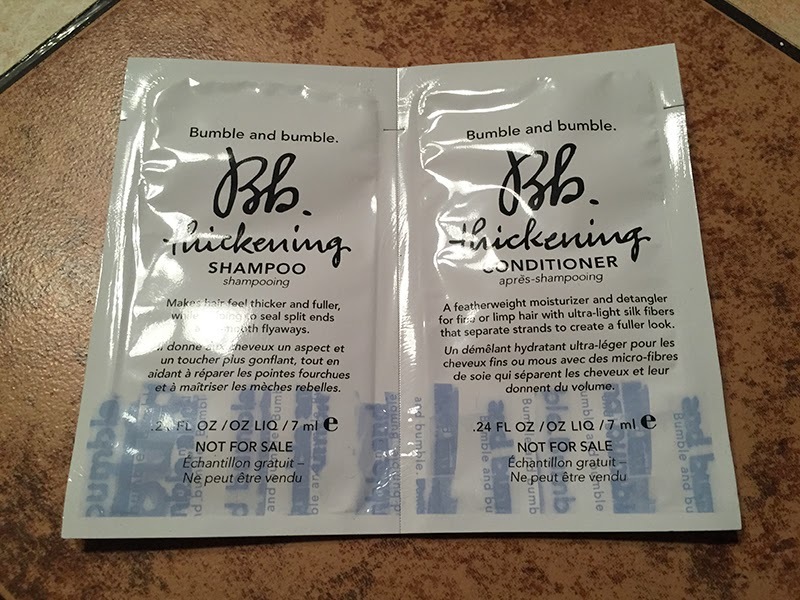 THE SKINNY: Bumble and Bumble Thickening Shampoo and Conditioner did amazing things to my hair over the three days the sample lasted. It turned my fine, don't-like-to-hold-a-style locks into healthy, voluminous, bouncy hair. Several people asked me if I'd gotten a trim and a new style. It didn't matter if I paired the shampoo and conditioner with Bumble and Bumble's Thickening Hairspray or not. I got the same incredible result. But I could only give this product 3.5 stars because it's harsh on my fine hair, making it feel stiff and brittle when it was wet. The conditioner was a requirement, not a bonus, to make my hair feel soft and almost normal again. It makes me worry about the long-term effects of using this duo day in and day out. KEEP OR TOSS: Keep, but I wouldn't use this product more than once or twice a week. CHECK IT OUT: Bumble and Bumble's thickening line includes the hairspray and a leave-in conditioner.